Most of the time, Ward operate in the background – collecting and processing thousands of tons of business waste every day. Crucially, you can also rely on our teams to help get you back up and running when an emergency strikes. Our team of specialists can rapidly deal with chemical and hazardous waste spillages, flooding and fly-tipping. Flood damage can quite often be literally overwhelming. Thankfully, Ward are on hand 24 hours a day to manage emergency clear up operations. Water damage may become polluted by chemical and effluent contaminants, so we have to work quickly to salvage what we can and dispose of contaminated material as efficiently as possible. 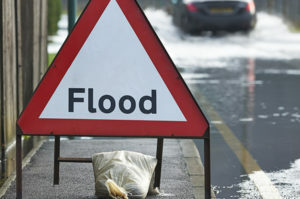 Whether you’re a large commercial operation or a small business, Ward understand the emotional damage that flooding causes, so we’ll also go the extra mile to supply any technical information you may need to complete your insurance paperwork when it’s all over. Ward operate across the UK, collecting all kinds of hazardous waste safely and securely, using specialist equipment to transport it for recovery, recycling, and treatment. Fly-tipping is the illegal dumping of waste on public and private land. Aside from being anti-social, even the small scale dumping of tyres, furniture or building products can cause serious pollution problems or potential health issues. 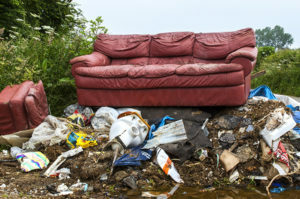 At it’s most extreme, fly-tipping can involve dangerous chemicals and other contaminants that seep into waterways and blight the countryside for years to come. Rats and other vermin are attracted to discarded waste, whilst the wildlife we want to protect can easily become entangled or hurt. Call our Professional Services team on 0345 337 0000 to find out more. 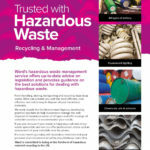 Ward offer commercial waste, collection and disposal for a range of industry sectors. Find out how we can manage your waste effectively, by maximising savings and minimising your environmental impact. Waste is hazardous when it contains substances or has properties that might make it harmful to human health or the environment.